The Cleaners is an excellent example of modern British detective fiction, less concerned with the brilliance of the socialite freelance detective and relying more on the modern techniques and situations faced by the modern metropolitan police force. This is a topic suggestion on The Cleaners from Paper Masters. Use this topic or order a custom research paper, written exactly how you need it to be. 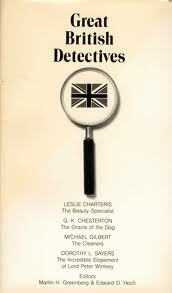 Michael Gilbert’s The Cleaners (1977) is an excellent example of modern British detective fiction, less concerned with the brilliance of the socialite freelance detective (ala Sherlock Holmes or The Saint) and relying more on the modern techniques and situations faced by the modern metropolitan police force. Gilbert’s novella features Detective Inspector Patrick Petrella, who has the great distinction in this story of not solving the crime. The Cleaners starts off with a coroner’s inquest into the death of Bernie Nicholls, a case that is not in Petrella’s jurisdiction. Petrella is in the courtroom for another case, and the officers whose jurisdiction the case is, asks for Petrella’s assistance. Gilbert, throughout the story, is commenting on the modern facets of the police force, from high case loads that force the detectives to work cases piecemeal, cooperating as teams to gather bits of evidence here and there, to the competing divisions within the force, divisions that mean that fellow officers are not given access to all the facts in the case. Petrella begins to look into the death of Nicholls, an investigation that leads him to Lloyd & Lloyd, a London real estate brokerage. The sale of his flat at a profit raises the suspicions of his superiors, as Petrella’s bank account (like all senior police officers do in order to catch illegal activity). Petrella’s deposit includes marked bills from a payroll heist. Petrella and his associates focus in on Mr. Lloyd’s assistant Tom Adams, a criminal convicted for fraud, now working under an assumed name. Petrella’s dealings with Lloyd and Lloyd over the sale of his flat have put him in a delicate position, if Tom Adams is legit, Petrella’s interference would mean he was “guilty of persecuting an innocent man who had fought his way back from crime to respectability”. That is until the big brass tells Petrella that Adams is an insider, working for the police. Petrella’s assumptions are proven totally wrong, and the case is closed without his assistance. What has happened is that police departmentalization has led to the non-sharing of information, and a great waste of time on the part of Petrella and his detectives. Paper Masters writes custom research papers on The Cleaners and look at a novel that is one of the first pieces of post-modern detective fiction, that goes into the world of realistic late 20th century police procedures.